“As an entrepreneur, it is my passion to support other business owners in providing outstanding I.T. services. I know how important it is to match our services to their unique companies. We are diligent in ensuring that each of our clients receives a specialized I.T. package suited to their specific business needs." Cory is native to Oklahoma City where he grew up. He has known that I.T. is his passion since an early age when he was made the programming class leader using Turtle Logo in the 4th grade. Soon after high school he decided to leave his job in the food service industry and was hired at the AOL call center in Oklahoma City. He quickly moved up the ranks and was soon relocated to Canada where he was promoted to a Team Leader and Trainer. After 6 months in Canada, he was promoted again to a Technical Security Analyst and relocated to an AOL data center in northern Virginia. 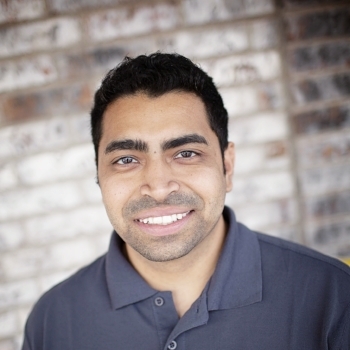 As his dreams of starting his own business grew, so did his desire to help other business owners tackle the ever-increasing demands that technology would have on their organizations. After resigning his position with AOL, Cory moved back to Oklahoma and decided it was time to grab entrepreneurship by the horns. With that spirit and knowledge about the I.T. market in Oklahoma, Heartland I.T. was created in January 2007. 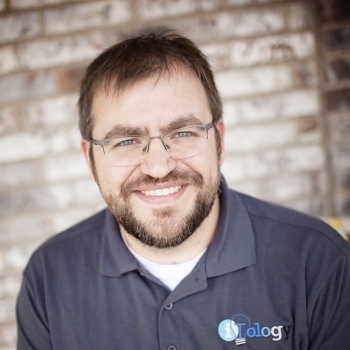 He then acquired Computer Doctor in 2009; recently rebranded to iTology in the fall of 2016. When Cory acquired Computer Doctor, he had one thing in mind. He wanted to help local Oklahoma companies address the I.T. needs that are vital to the health and success of their core business strategies. He used the knowledge he learned throughout his career to benefit his clients and he understands each business is truly unique and requires their own I.T. infrastructure. He stays informed and knowledgeable on the latest I.T. trends and requirements so his clients don’t have to! Cory’s passion is his company and his clients. But what brings a smile to his face more than anything are his two daughters, Bella and Brinley. Outside of that he is an avid biker (road and mountain), and snowboarder. Kori doubles as our bookkeeper and our executive assistant. She is essential in handling all things administrative. 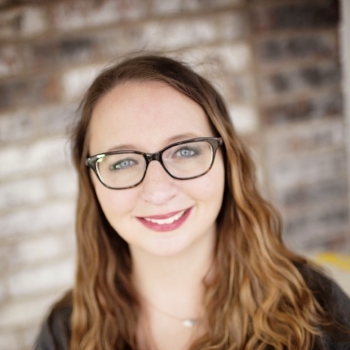 Kori was born in Edmond, Oklahoma and has remained here her whole life. She has a Business Administration degree from the University of Central Oklahoma. She enjoys using her knowledge and education to help our business grow. Even though she would not classify herself as “technically savvy” and is fairly new to the world of I.T., she enjoys the fast pace and that each day brings many learning opportunities for her to expand her skill set. Cooking and relaxing at home with her fiancé Peter. Kori spends most of her free time checking out new shows on Netflix and getting lost in the pages of any book she can get her hands on. “We strive to fix problems before our partners know they exist, and we have measures in place to tell us what might go wrong so our clients don’t even have to put in a ticket at all! Will specializes in systems monitoring. His data gives our iTologists advanced notice of system activities, and can help guide our techs to their next move. Will grew up around Muskogee, Oklahoma, where he harnessed an early love for all things technical. When his first computer crashed in high school, he spent several weeks researching and figuring out how to fix it. He then quickly found his identity as the go-to computer guy for friends and family. Will took his first basic-level tech support job at Northeastern State University in Tahlequah, where he did onsite support at both the Tahlequah and Broken Arrow campuses. His experiences then led him to the Cherokee National Historical Society, Cherokee Nation, and Cookson Hills Community Action Foundation. 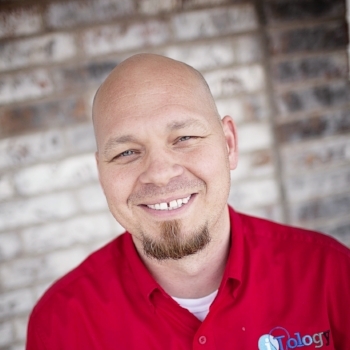 Eventually he moved to the OKC area to work at the University of Central Oklahoma before settling into his position at iTology. Cooking, grilling, movies and computer games! Will spends a lot of his free time tinkering with projects like ad-blocking solutions for his home computers, as well as helping out friends and family with various tech problems. When he’s not working, he enjoys spending time with his boys, Carson and Cameron. Rob works with software and operating systems for servers and workstations, ensuring connectivity. It’s a job that extends to customer care and client interaction as well. 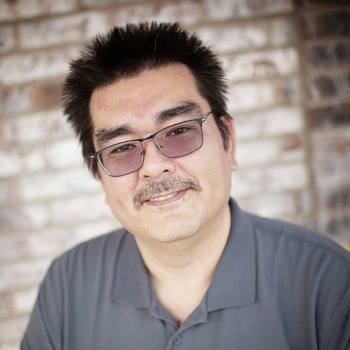 Rob was born in South Korea, but has spent most of his life in Oklahoma. He has been fixing computers since 1998. He began by working on friends' and family’s computers. He was a self-taught specialist who studied hardware and software problems. The first jobs he landed were based on word-of-mouth personal references. Before iTology, Rob was self-employed building and repairing custom computers. Video games and electronic gadgets of any kind. Rob’s a movie buff and a craftsman. When he’s not dismantling I.T. crises, he likes to spend time with his wife Tracee.